The blaze in the Highfields area of the town in the early hours also left another child and two adults injured. Part of the roof of the house has collapsed, windows were shattered and the rooms were left blackened by the blaze. 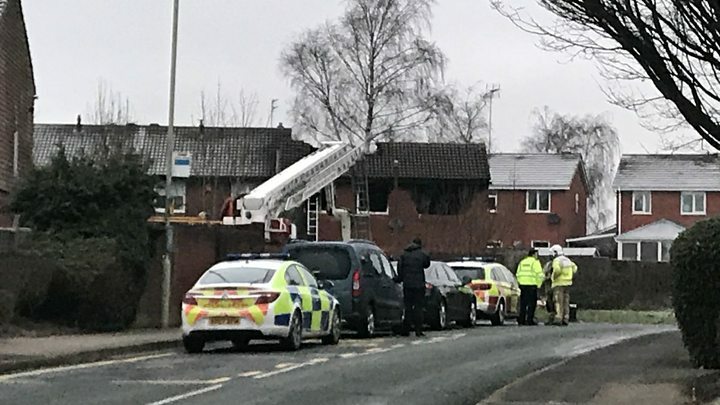 A senior Staffordshire Police officer described the loss of “precious lives” in the fire as “absolutely heartbreaking”. Kylie, another neighbour, said: “I am absolutely devastated. Devastated for the family, and devastated because you’d hear the children playing in the garden. 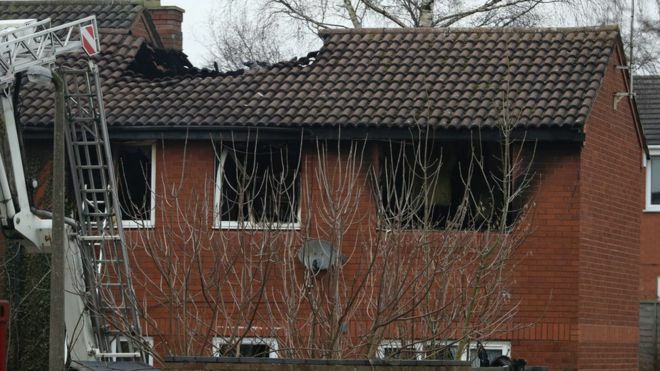 Emergency services were called to the fire on Sycamore Lane at about 02:40 GMT. Staffordshire Fire and Rescue Service are examining the house as part of their investigation. The family are being supported by specialist police officers. 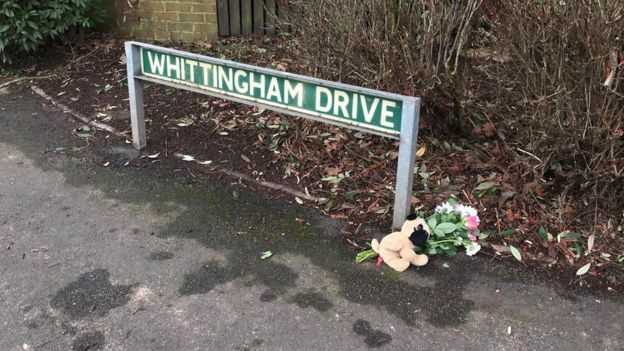 Ch Insp John Owen, of Staffordshire Police, expressed his sadness at the “tragic incident” on Twitter. Neighbours I’ve spoken to described hearing an explosion sound like a blast that woke them. There is a large police and fire service presence, and Sycamore Lane has been cordoned off. A resident also said they heard there was a man who jumped out the window with a baby or a young child. “For something like this to happen it’s just heart-breaking,” he said. “It’s very difficult to imagine just how professional and how dedicated these people are, but they are all human beings. 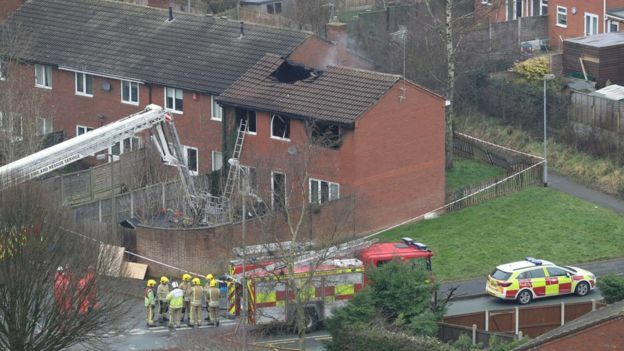 The deaths of four children at a house fire in Highfields this morning is unbelieveably tragic. My deepest sympathies and prayers go to their families. @CarolynTrowbrid also sends her thoughts and sympathies. Thanks to all of the emergency services dealing with this tragedy.